Crosby Tiles are Perth’s only supplier of the Folio Series. The Folio Series is the latest design trend to hit our shores. 15 spectacular feature tile designs. 4 different feature tile sizes. A total of 78 feature tile combinations. Crosby Tiles are Perth’s only supplier of the Artisan Series. 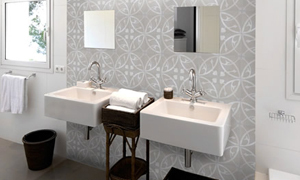 These encaustic feature tile patterns are influenced by Moroccan, French and Spanish design themes. Can be used to create large bold panels of colour. Can be used on both wall and floor applications. Crosby Tiles are Perth’s only supplier of the Matrix Series. Matrix Series is made with a porcelain base, making installation cheaper and easier. 75 contemporary glass tile colours. 1200 individual glass tile combinations. 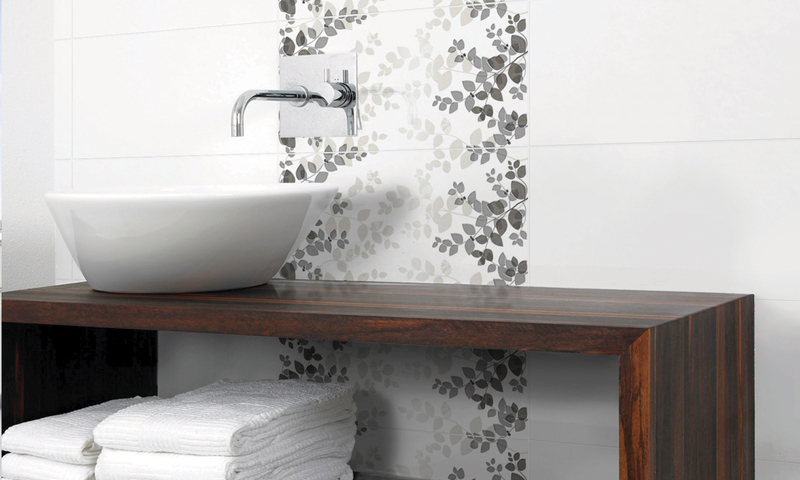 Crosby Tiles are Perth’s only supplier of the Vista Series. Vista has a porcelain tile base on each glass strip, which comes with a temporary film adhered for easy installation. 30 contemporary glass tile colours. 120 individual glass tile combinations. Crosby Tiles has Perth’s largest range of designer stone border tiles. Natural stone and glass combinations. Colours vary from white stone through to dark black marble.